Multimedia is an essential tool for getting your message across in the online world. Microsoft’s offering from Azure is one of the best platforms available to stream video content. Azure Media Services provides broadcast-quality video streaming services to help you reach large audiences, your workforce or your customers, on mobile devices. Today, it is quicker, cheaper and easier to achieve professional video content than it has ever been, and Azure Media Services development lies at the heart of that change. As a Microsoft Gold Partner, we work with organisations who need development capabilities to utilise the latest technical media services available. We’ll listen to your ideas and deliver a proof of concept. An example of a recent successful project includes sharing video briefings with a mobile workforce. Read our Case Study which includes the integration of Azure Media Services in SMARTbrief, a broadcasting app. Video content distribution, live streaming, push notifications and applying multiple languages are made simple with Azure Media Services development. 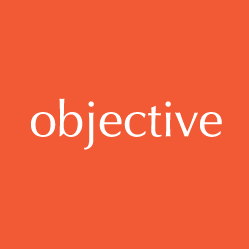 Working with Objective IT has given us peace of mind. The development of SMARTbrief results in us staying ahead of the curve with continual plans for new innovations. A long term view is essential for this project, and having worked with Objective IT for over 15 years we know we’ll have the level of support we need. Does your business distribute content, whatever form it may be in? If so, the integration of Azure Media Services may be of great benefit to you. If you’re a large corporate that needs a platform to distribute content internally, such as a new safety briefing, or an internal marketing video, AMS can be your end-to-end solution. If you’re a business that utilises live streaming, alongside on demand streaming after a live stream has occurred, AMS can be your go to tool of choice. If you’re an SME that distributes video content to its customer base that needs an easy yet effective tool, alongside the highest levels of security, AMS may be what you need. Azure Media Services is a cloud-based platform that enables you to deliver end-to-end workflows with secure, highly scalable, broadcast quality coding, DRM packaging and distribution services. Encoding – Studio grade encoding at cloud scale. Once your videos are uploaded to AMS, your video will be encoded in the definition you request (SD/HD/UHD) and will be available for access once completed a short while after. Azure Media Player – Use a single player for all your playback. Whatever device you access your content from, the azure media player ensures that the resolution of the video suits that of the device. Live and On Demand Streaming – Deliver content to virtually any device. Both live streaming and on demand streaming is available to any device as long as there is a data connection. Media Analytics – Speech and vision services at enterprise scale, with security, compliance and global reach. Analytics provide data from your content that you can use to gather insights and fuel future decision making. Content Protection – Deliver content more securely using AES or multi-DRM. Once your content is encoded it will all become securely encrypted on the cloud platform. Indexing – Make your video content searchable by extracting the speech content. The service is able to extract speech and convert it into subtitles (in five different languages); this text can then also be used as a search function.